How do they shoot those silky-smooth timelapse travelling shots? 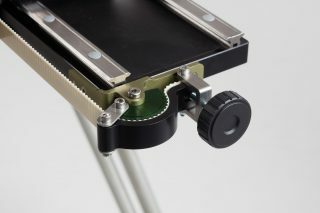 Or a precisely moving, gliding tabletop product shot? Sliders are great, but they’re only as smooth as the finesse with which you can operate them. 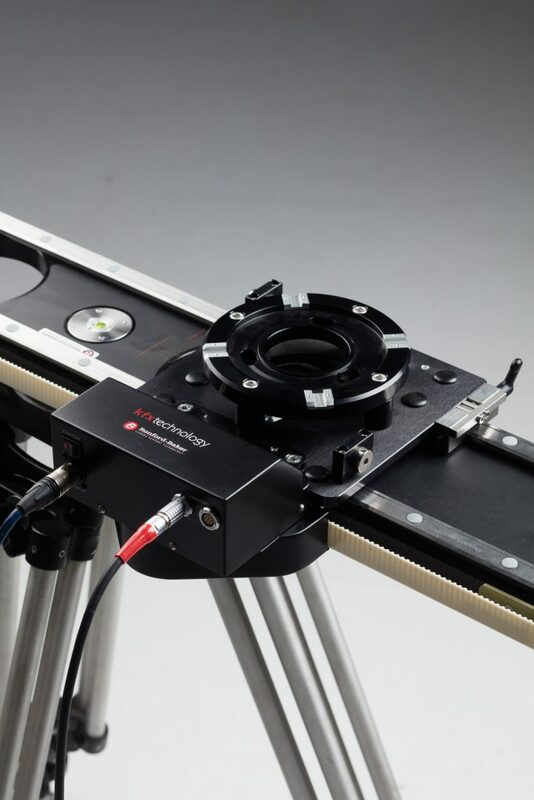 For really smooth slider moves, the trick is to be sure you’re using the new Ronford-Baker Motorised Slider. 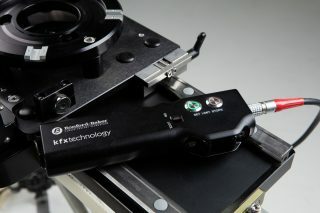 Its controller is a zoom control-sized hand unit that you can program for feathered starts and stops. 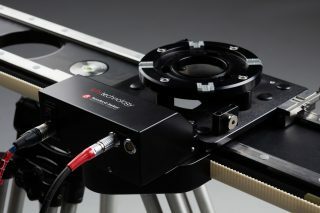 The motor moves a 4-keyed Mitchell mount along the slider with a toothed belt at speeds from fast 1 ft/sec to slow 1 ft/min. 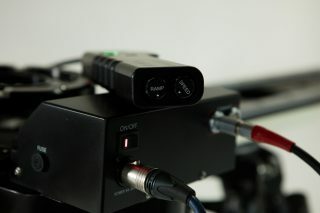 You can add the Motorised Unit to existing Ronford Sliders, or order the complete set. It’s available in lengths from 25” to 96”, and custom lengths as well. 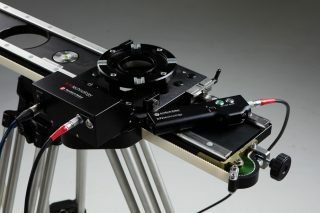 Easily fitted onto any Ronford-Baker slider. Minimum height: 4 ¾” (12 cm). 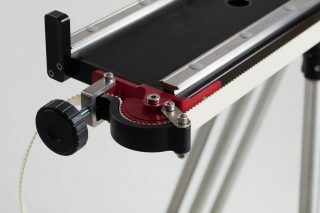 Overall width of slider: 10” (25 cm).